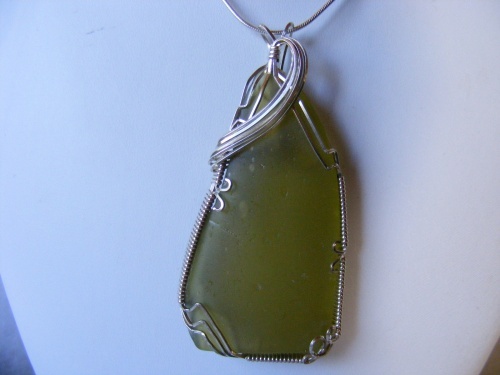 This very large piece of seaglass is a unique green color and for those of you who really like to make a statement! Uniquely sculpted in sterling silver curls and swirls. Piece measures 2 3/4" long and 1 1/4" wide and comes with a sterling silver chain.